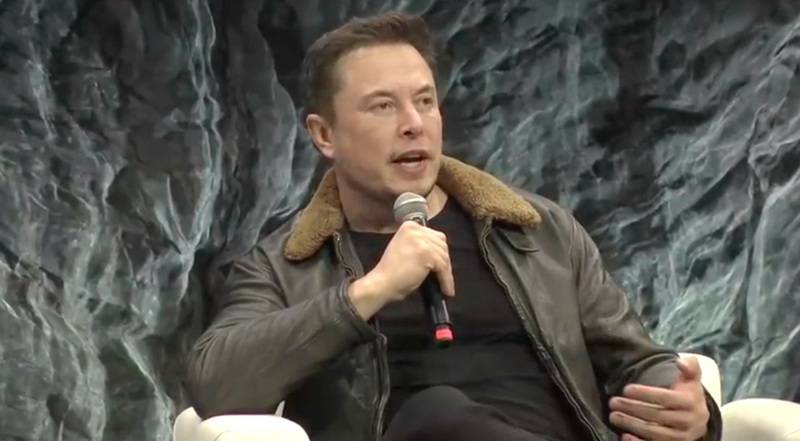 WASHINGTON — NASA plans to carry out a review in the coming months of the safety practices at Boeing and SpaceX, an examination reportedly prompted by the actions of SpaceX founder Elon Musk. “Is the culture reflective of an environment that builds quality spacecraft?” Gerstenmaier told the Post. NASA did not explain why it decided to undertake the review at this advanced stage of development of Boeing’s CST-100 Starliner or SpaceX’s Crew Dragon, which are months away from initial test flights. However, according to the report, the review was prompted by an interview Musk did earlier this year during which he briefly smoked marijuana. Musk also acknowledged earlier this year taking Ambien, a sleep drug, which he said was necessary given the long hours he was putting in for his other role as chief executive of electric car manufacturer Tesla. “It’s not like for fun or something,” he said in an interview with the technology publication Recode published earlier this month. “SpaceX actively promotes workplace safety and we are confident that our comprehensive drug-free workforce and workplace programs exceed all applicable contractual requirements,” the company added. The review, and its apparent emphasis on drug policies, took many industry observers by surprise. Both companies do extensive work with NASA and other government agencies outside the commercial crew program, activities that typically include requirements to have policies in place about drug and alcohol use. One industry source, not authorized to speak on the record, speculated that the review might be a preventative measure by NASA to protect the agency from any future criticism about the adherence to safety at the companies, particularly if there is an accident or other incident on an early commercial crew mission. It’s unclear if the review will affect the schedules of upcoming test flights by the two companies. SpaceX is set to perform an uncrewed test flight of its Crew Dragon vehicle as soon as early January, a schedule that agency officials confirmed last week. That would be followed by a crewed flight in June. Boeing is scheduled to perform an uncrewed test flight of its Starliner vehicle in March and a crewed flight in August. The safety review of commercial crew providers comes as NASA is dealing with technical safety issues regarding the Soyuz, the only current way for crews to get to and from the International Space Station. The Soyuz MS-09 spacecraft, currently docked to the station, suffered a leak in August that may have been caused by mishandling of the spacecraft during launch preparations. The Soyuz MS-10 spacecraft was forced to abort its mission to the ISS in October when its Soyuz rocket malfunctioned two minutes after liftoff. Industry observers said they were unaware of similar reviews by NASA of the safety cultures at Russian companies in the wake of these incidents.